Sam Tomkins and Shaun Briscoe are the latest internationals off the production line. Does anybody know how many internationals the club has produced over the years. And can any other local club top their record. I am here i-spy sorry dont go on this section much but I remember the lad cherry and white is on about. His name was John Sharples he played with my brother Vinnie you will see John at the cenotaph on Sunday rememberance day. He never misses he was 1 of the best amateur loose forwards ever to play rugby. He signed for Huddersfield and Blackpool gave them the money back said they weren't as good as ST. Pats.Thats John for you. 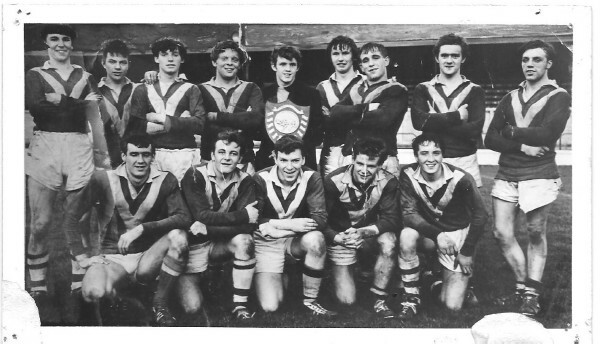 I very much doubt it i-spy but here are a few the 3 you have mentioned and then there is our oldest pats lad the legendary Joe Egan, add to this Shaun Wane, Sean Edwards, Joe Lydon, Mike and Andy Gregory,Andy Platt, Martin Dermott, Phil clarke and thats only mentioning a few off the top of my head. They have produced over 250 professionals to the game of rugby league not bad for an amateur club. but thats why its probably famous the world over. glad you found wigan world curly. it'd be great if someone could come up with a list of names. Will ask about in the club over the weekend as its our centenary next year 2010 not bad eh producing players for 100 years. Paul - Billy Telford? Look no furthr than the 'Balc'! Sorry wigver whats a "Balc"? Hi Paul, I know billy very well and as wigvet stated he does go in The Earl of Balcarres now and again. If he is a gambler tell him i will put the house against his on it. Blackbrook have been going nowhere near as long as the Pats. Or better still i-spy ask him to name them. He is probably 1 of these supporters that is only going back a few years and he would still lose that one. I'll call his bluff and see what he comes up with,. curly thought you'd like to know - that Blackbrook mate of mine is waving the white flag and admitting he's wrong. Sorry kittgreener but Chris Joynt is a true ST. Patser.Yes your correct and it is great to see that other clubs are producing players to the Professional code but they have a long way to go to beat the Pat's record. Last Seasons Grand Final had 6 Pat's players in it plus the Coach Shaun Wane and owner Ian Lenegan ST. Patsers. THAT'S GOOD ENOUGH FOR ME..
And many more still to come watch out for Liam Farrell, Jack Hughes, only to mention 2 off the latest pruduction line. How you keeping Mickmanu ok I hope your old pal J.C.
Any relation to Andy Farrell ?? 2 more Pats old boys in Wigan team today (march 13 v Hull). Stefan Marsh and Josh Charnley who got two tries. Does anyone know when this photo was taken and where? it looks like and old St Pat's photo but cannot be 100% sure!